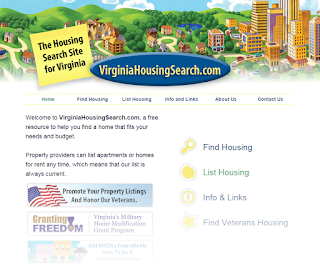 We want to share our excitement that VHDA’s VirginiaHousingSearch.com, an online rental housing locator service, celebrated its six-year anniversary this summer. Launched in 2009, the site passed a milestone of more than 100,000 registered units in 2014, and in 2015, added a specialized Veterans option that helps landlords promote themselves as housing providers for veterans. 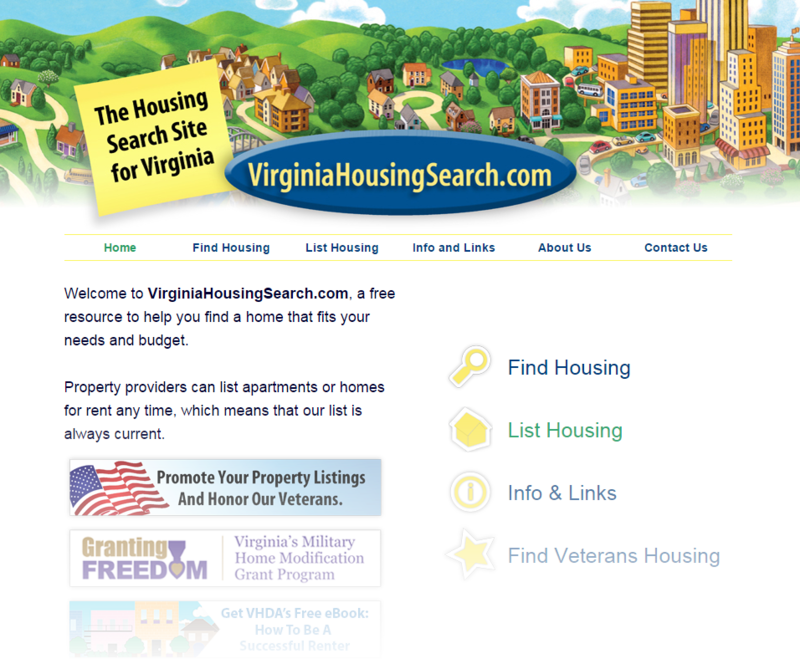 Since its inception, Virginia Housing Search has added useful resources and links for landlords and renters. Visitors to the site will find checklists and affordability and cost calculators, as well as links to federal, state and private organizations that govern rental housing and support people with disabilities and their families. VHDA’s free How to be a Successful Renter eBook is also available through the website. VirginiaHousingSearch.com is provided at no cost to consumers looking for rental housing as well as landlords who want to list a property. VHDA sponsors this service as a way to provide an easily accessible and comprehensive online listing of available rental properties across Virginia. Which Streetscape Features Best Generate Pedestrian Activity? The Federal Housing Administration (FHA) announced steps aimed at expanding credit to underserved borrowers while easing risk for approved lenders. The new supplemental performance metric broadens the measurement for a lender's default performance and is part of an effort to encourage more lending to riskier customers who have been pinched by tight credit conditions. The change, in the works for more than a year, measures a lender’s default rate within three credit score bands and compares that with an FHA target rate instead of comparing it against the lender's peers in the market. The U.S. Department of Housing and Urban Development released the final rule that clarifies the portability regulations and requirements in the Housing Choice Voucher (HCV) program and helps improve the processing of portability requests. Portability refers to a feature of the HCV program that allows an eligible family with a housing choice voucher to use that voucher to lease a unit anywhere in the United States where there is a public housing agency (PHA) operating an HCV program. The new Portability Rule will help increase administrative efficiencies by eliminating confusing and obscure regulatory language, and balancing the needs of PHA’s while increasing family choice. HUD originally published the proposed rule in the Federal Register on March 28, 2012. Following a public comment process, publication of the final portability rule concludes the rulemaking process. It is expected that the clarity afforded by this final rule will improve the portability process, and that the rule will allow families to more easily search for and lease a rental unit in their desired location. We’re excited to spread the word about how one of our affordable housing stakeholders is recognizing Affordable Housing Month. Arlington County is kicking off a 30-day celebration on Wednesday, Sept. 2, with a proclamation event and reception featuring Chris Estes, president and CEO of the National Housing Conference. Other celebratory events during Affordable Housing Month include bike and bus tours, forums and an info session on Resident Services and Affordable Housing to be held at Arlington Mills Residences. You can find dates, times and detailed event information here. For many first-time homebuyers, a Mortgage Credit Certificate (MCC) from VHDA could boost the tax benefits of owning a home — potentially saving thousands of dollars at tax time every year — for as long as they live in their home! In fact, an MCC could be the difference that makes buying and owning a home affordable for many people. Of course, it’s important to understand how MCCs work, including the requirements and limitations. You can read all about VHDA’s MCC program at vhda.com/MCC. Our Rental Housing Division is in the process of changing the guidelines for how we use REACH funding. We would like feedback from our rental housing stakeholders. If you are involved in rental housing, we invite you to read and comment on the proposed policy. The deadline for submitting your comments is Friday, August 28, 2015. Tell Us What You Think. We want to get the word out to our partners and stakeholders that Virginia Main Street is now accepting applications for new additions to the Virginia Main Street organization. A major benefit of becoming part of the National Main Street Center is personalized assistance that can help a designated Virginia Main Street Community advance local revitalization efforts. This assistance includes customized design, access to state and national specialists, training on key downtown issues and ongoing marketing and promotional services. The Virginia Department of Housing and Community Development (DHCD) recommends that communities planning to apply first review the Virginia Main Street Program Guidelines, the Virginia Main Street Designation 2016 How-To-Apply Workshop Presentation and the Designation Application. Applications are due Monday, November 2, but an organization must register before their application can be submitted. Communities that aren’t ready to apply for designation, but are interested in revitalization, have the option of becoming a DHCD Community Affiliate. Affiliates have the opportunity to attend Virginia Main Street trainings, network with other downtowns and gain access to a variety of resources about successful downtown revitalization strategies. For detailed information on the Virginia Main Street preservation-based economic and community development program, visit www.dhcd.virginia.gov/MainStreet. How Do You Create a Successful Urban Park? Over the past few weeks, the HOME Coalition -- led by the National Council of State Housing Agencies (NCSHA) --- has spread the word about the need to protect and restore funding for the HOME Investment Partnerships Program (HOME). Responding to the Senate Appropriations Committee proposal to cut the HOME program by 93 percent from its already record low FY 2015 funding level, the HOME Coalition conducted two large-scale efforts to engage stakeholders nationwide: a national sign-on letter to Congressional leadership with more than 1,500 organization signatories and a national webinar with U.S. Department of Housing and Urban Development (HUD) Secretary Julian Castro with upwards of 900 registered attendees calling in from every state in the nation. The delinquency rate for mortgage loans on one-to-four-unit residential properties decreased to a seasonally adjusted rate of 5.3% of all loans outstanding at the end of the second quarter of 2015, according to the Mortgage Bankers Association. This was the lowest level since the second quarter of 2007. The delinquency rate decreased 24 basis points from the previous quarter, and 74 basis points from one year ago. The delinquency rate includes loans that are at least one payment past due but does not include loans in the process of foreclosure. The percentage of loans in the foreclosure process at the end of the second quarter was 2.09%, down 13 basis points from the first quarter and 40 basis points lower than the same quarter one year ago. This was the lowest foreclosure inventory rate since the fourth quarter of 2007. The U.S. Department of Housing and Urban Development today unveiled the HUD Resource Locator – an innovative mobile app and website to further expand and enhance traditional HUD customer service. The resource locator will offer real-time HUD housing information at the fingertips of people looking to quickly connect with building managers, public housing authority representatives, and property management companies to inquire about housing availability and other housing-related questions. The HUD resource locator is one of several services provided by HUD’s Enterprise Geographic Information System (eGIS). This tool uses GIS technology to pinpoint where resources are located and allow anyone with a smartphone or tablet to get relevant contact information. For example, the new app can be used during a disaster when families need to find housing, or when social service providers are helping persons experiencing homelessness look for available housing assistance. In an era where people are increasingly using smartphones to find information, the HUD resource locator app and mobile site provides an easy tool for anyone to use to find housing resources. The resource locator uses housing data from HUD and the U.S. Department of Agriculture. The Federal Housing Finance Agency is expected to issue a proposal soon that would require Fannie Mae and Freddie Mac to purchase manufactured housing loans from lenders. The so-called "duty to serve" plan would force the two government-sponsored enterprises into the mobile home business, where more than two-thirds of manufactured housing lending is backed by the vehicle, not the land it stands on. An estimated 2.9 million households live in 50,000 manufactured housing communities across the country. Industry groups argue the proposal is desperately needed to improve lending standards and credit availability for manufactured housing. How is Southwest Virginia’s creative economy helping to build Virginia’s New Economy? You’re invited to find out at the 2015 Southwest Virginia Creative Economy Conference. Governor Terry McAuliffe, Director of the Virginia Department of Housing and Community Development (DHCD) Bill Shelton and President and CEO of the Virginia Tourism Corporation Rita McClenny are just a few of the special guests attending the conference. The agenda includes presentations and sessions that showcase how the region’s natural, cultural and human assets are driving economic opportunities in communities all across Southwest Virginia. You can register for the conference, to be held September 21-22 in Abingdon, here. The Virginia Mortgage Lenders Association (VMLA) annual convention is a great place to build your network and learn about issues impacting the mortgage industry. 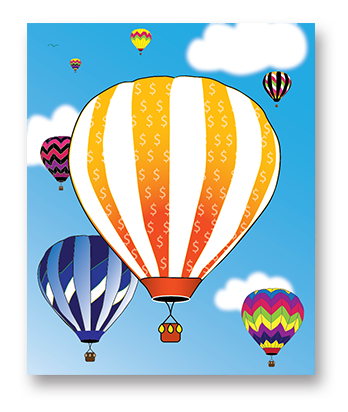 Be sure to stop by VHDA’s booth (look for our colorful “Reaching New Heights” balloon posters), and drop your business card in our bowl — you’ll be registered to receive news updates from VHDA and be entered in our drawing to win an awesome prize! For details about the convention, visit VMLA’s website. 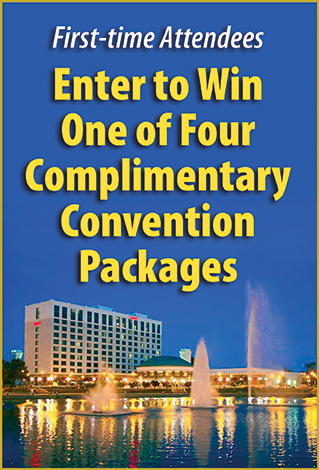 As an event sponsor, VHDA will provide four first-time attendees with complimentary convention registration, plus hotel for the night of Thursday, Oct. 1, 2015. One winner each will be chosen from the Richmond, Hampton Roads, Northern Virginia and Western regions. Submit your entry at vhda.com/VMLA. The United States Department of Agriculture's (USDA) Rural Housing Service (RHS) announced the application schedule for the next round of Multifamily Preservation and Revitalization (MPR) funds. MPR is a demonstration program designed to preserve and revitalize rural rental housing projects under Section 514, Section 515, and Section 516 of the Housing Act of 1949. 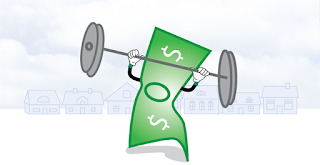 MPR funds may be used to restructure existing Section 515 multifamily housing loans and Sections 514/516 off-farm labor housing loans to allow the developments to continue to serve very low-, low-, or moderate-income residents. Developments selected to receive MPR funding are expected to rehabilitate and extend their commitment to affordable housing without displacing current tenants due to rent increases. We want to pass along some exciting news. The U.S. Department of Energy’s Better Buildings initiative has recognized The Warwick SRO, a permanent supportive housing development in Newport News, as a Showcase Project for its reduction in energy consumption and focus on improved indoor air quality. 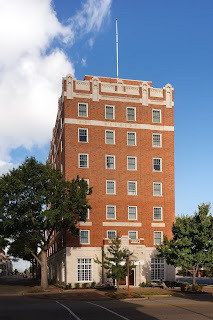 Originally constructed in 1883, the Warwick Hotel was the center of Victorian-era downtown activity in Newport News before a fire destroyed the original structure in 1960. An addition built in 1928 survived the blaze and, in 1995, Community Housing Partners transformed the remaining structure into permanent supportive housing units for formerly homeless individuals. Financed in part by Low-Income Housing Tax Credits awarded by VHDA, the 2013 rehabilitation of the Warwick SRO included a new roof, updated plumbing, new windows, HVAC upgrades and other energy-efficiency improvements resulting in EarthCraft Virginia certification and a 50 percent increase in energy efficiency. Better Buildings aims to make commercial, public, industrial and residential buildings 20 percent more energy efficient over the next decade. This means saving hundreds of billions of dollars on energy bills, reducing greenhouse gas emissions and creating thousands of jobs. You can find resources such as implementation models, presentations on successful strategies, showcase projects and energy data on the Better Buildings website. Through Better Buildings, DOE partners with leaders in the public and private sectors to make the nation’s homes, commercial buildings and industrial plants more energy efficient by accelerating investment and sharing successful best practices. 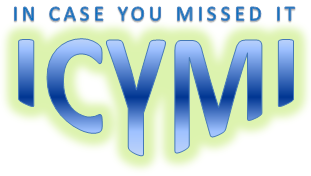 VHDA is passing along some exciting news that our Southwest Virginia nonprofit partners and stakeholders might want to look into. The American Advertising Federation, Southwest Virginia chapter (AAF SWVA) is inviting local nonprofit organizations to submit applications for its first annual CreateAthon, which is a community service event designed to assist nonprofits with pro bono advertising assistance. The application deadline to be considered for pro bono creative marketing services is Aug. 28. For an application, or to learn more, visit http://aafswva.com/createathon/ or call Kim Stewart, Public Service Chair at 276-706-1100. The homeownership rate in the United States in the second quarter declined to 63.4%, the lowest it has been since 1967, according to data from the Department of Commerce’s Census Bureau. Further, the steady decline since 2009 continues. On a quarterly basis, the rate was 1.3 percentage points (+/-0.4) lower than the second quarter 2014 rate (64.7%) and 0.4 percentage points (+/-0.4) lower than the rate last quarter (63.7%). For the second quarter 2015, the homeownership rates were highest in the Midwest (68.4%) and lowest in the West (58.5%). The homeownership rates in the Northeast, Midwest, South and West were lower than the rates in the second quarter 2014. Black Knight Financial Services analyzed U.S. mortgage holders’ levels of non-mortgage-related debt and found those levels are at their highest in over 10 years. As Black Knight Data & Analytics Senior Vice President Ben Graboske explained, non-mortgage debt among U.S. mortgage holders bears close watching due to its potential impact on both the lending and housing industries. “Mortgage lenders know exactly how much debt borrowers are carrying at the point of origination, but often lose sight from that point forward,” said Graboske. “Non-mortgage debt is another key piece of the home affordability puzzle — the more total debt borrowers are carrying and the higher monthly non-mortgage payments they have, the less money they have to put toward a new home purchase, or potentially even their current mortgage obligations. The July market report from Clear Capital shows that trends have been manifesting across price tiers, and it shows that the biggest segment of housing — mid-tier priced homes — is doing the worst. The Clear Capital HDI measures market appreciation rates across the lowest (up to 25%), middle (26%-75%), and highest (76% and above) priced homes in an area to dissect valuation risk. The data revealed that the low-tier is closest to peak 2006 levels, with prices only 10.1% below 2006 peak levels. Conversely, the mid-tier (homes selling between $120,000 and $345,000) is the worst performing segment with current price levels 24.8% below 2006 peak levels. This vast difference in market recovery underscores the continued challenges the majority of homeowners face, despite a quicker recovery in both the bottom and top segments of the market. It appears the post-recession mantra of mortgage lenders is "better safe than sorry." Despite pushes from the Federal Housing Finance Agency and the Federal Housing Administration, many mortgage lenders are still applying additional credit overlays to loans delivered to Fannie Mae and Freddie Mac, a new survey of lenders showed. The survey, conducted by Fannie Mae’s Economic & Strategic Research Group and based on responses from senior mortgage executives in May 2015, found that approximately 40% of lenders who deliver loans to the GSEs or Ginnie Mae reported applying credit overlays that are more stringent than what the GSEs or Ginnie Mae require. It’s Time to Nominate a Virginia Housing Award Winner! Just a reminder to our partners and stakeholders that the Virginia Governor’s Housing Conference, scheduled for November 18-20, is now accepting nominations for the 2015 Virginia Housing Awards. These five awards recognize innovative and effective efforts to address Virginia’s housing needs. The award winners will be honored at the conference during the Virginia Housing Awards Luncheon. In My Backyard "IMBY" Award. Nominations must be received by 5 p.m. on Friday, August 14, 2015. For more information or questions, contact Rhonda Spear at 804-371-7000 or rhonda.spear@dhcd.virginia.gov. 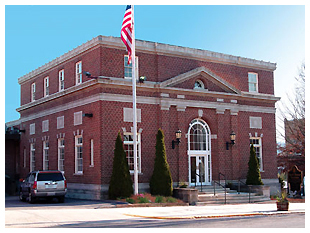 VHDA's Southwest Virginia Housing Center is located in what was originally the Wytheville post office. Over the years, it has also housed the Weather Bureau, the Draft Board and then a furniture store. Now, this historic landmark is home to VHDA's newest office, enabling us to work more efficiently with first-time homebuyers, multifamily developers, local governments and non-profit housing advocates in the area. VHDA’s first Wytheville office opened in 1988, to make our home loans available in smaller towns and communities not served by traditional lenders. To make our loans even more available, we put our first Mobile Mortgage Office on the road in Southwest Virginia in 1996 and added a second Mobile Mortgage Office in 1999 to visit folks living on the Eastern Shore and in Southside Virginia. Our Mobile Mortgage Offices, based out of the Wytheville office, received a first place Innovations Award from the Council of State Governments. Our Wytheville office staff would like to tell you about the work we’re doing in Southwest Virginia. You can also find out more about this location, including how to reserve free conference space, by visiting our website.